The AAMCO franchise is stronger today than it has been in any of its 50+ years as a dynamic part of American car culture and world leader in transmission repair. The media wholeheartedly agrees, as Entrepreneur Magazine recently named AAMCO as the No. 1 franchise in its category for the third consecutive year as part of the publication’s prestigious “Best of the Best” list. Entrepreneur’s “Best of the Best” companies are selected from the Franchise 500 list, which AAMCO was named to in 2017, based on ranking within their industry. The companies are evaluated based on Entrepreneur’s objective, quantifiable criteria, including system size, growth rate and financial strength and stability. The results qualify the top ranked company in each industry category to be named on the “Best of the Best” list. In 2017, AAMCO was honored with a 2017 LearningElite award win by Chief Learning Officer magazine for its state-of-the-art, world-class training platform AAMCO University. Established in 2014, AAMCO University is like nothing else in the auto repair industry. 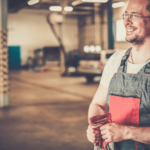 Franchise owners have access to more than 300 courses with expert instructors, ranging from basic shop safety to master-level diagnostics and transmission rebuilding. These modules are offered in classroom, online and in interactive settings. The training extends to employees, as well, helping with recruitment of the most talented technicians. They also have access to courses that will help advance their skill sets and careers. Total Car Care, the initiative AAMCO launched in 2014 to capture an outsized share of the $64 billion auto repair industry, has been a home run for the franchise. The brand has seen growth by double digits and AAMCO franchise owners are now becoming customers’ trusted providers for oil changes, brake repairs, heating and air conditioning maintenance and more. AAMCO has added to the Total Car Care platform and will begin offering total tire care in 2018. Transmission repair still makes up a large percentage of AAMCO franchise owners’ average revenues. To make it easier for consumers to pay for this big-ticket item and other expensive repairs, AAMCO recently announced a consumer financing platform. The results have been exceptional, making AAMCO franchise services owners much more accessible to a larger population within their communities and helping to increase sales in their centers. 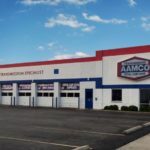 AAMCO is experiencing a rapid nationwide expansion, making it the rare auto repair franchise currently focused on national growth. 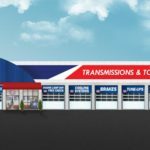 The auto repair giant has opened five new centers in five states from New York to California in 2017 so far and plans to open eight more new centers this summer. The expansion is projected to be strong beyond the summer season, as three entrepreneurs have delivered deposits to open three new AAMCO centers later in the year. With a full pipeline of interested candidates, AAMCO anticipates the number of deposits to continue to grow, setting up the rest of 2017 and the beginning of 2018 to be two of the best years in the brand’s storied 50+ year history as a franchise system. For in-depth details about the AAMCO franchise opportunity, request a copy of our free franchise report.